Aibea Office Bearers Meeting held in Chennai 13-01-2016 welcomed the Govt. instructions on next wage settlement. We have appointed a sub-committee to finalise the charter of demands. Com. Lalita Joshi is the Convener. 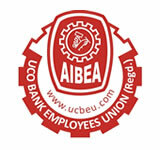 Aibea will take necessary steps to expedite and finalise the next Industry Level 11th BPS.